Samsung Diamonds and Melbourne Vixens star midcourter Liz Watson has been named the Liz Ellis Diamond and International Player of the Year at the Australian Netball Awards in Melbourne on Saturday night. The massive night capped an incredible year for the 24-year old which saw her dominate the netball world on both domestic and international levels. Watson was named starting wing attack in the Suncorp Super Netball Team of the Year after leading the league in goal assists and was a key part of the Samsung Diamonds huge 2018 campaign, which saw them wrap up a sixth consecutive Constellation Cup series win, back-to-back Quad Series wins and claim silver at the Commonwealth Games. Samsung Diamonds head coach Lisa Alexander spoke about Watson’s development as a player, elevation into the national team leadership group, and the respect her teammates have for her incredible work ethic. After making her Samsung Diamonds debut in 2016, Watson has blossomed into an elite talent, setting new standards for how the wing attack and centre positions are played and becoming one of the team leaders. Watson’s Samsung Diamonds teammate Courtney Bruce has had a front row seat to Watson’s meteoric rise and spoke of the positive effect she has on her teammates on and off the court. And it wasn’t just while in the green-and-gold that Watson excelled in 2018, as she dominated the midcourt for the Melbourne Vixens on her way to being named the starting wing attack for the Suncorp Netball Team of the Year. Vixens head coach Simone McKinnis heaped praise on the young star, citing her professionalism and desire to continue to grow as a player as the keys to Watson’s success. 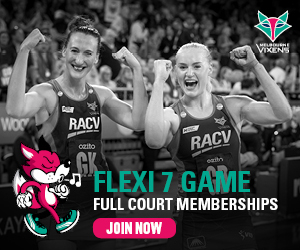 2019 figures to be another big season for Watson, after being named to the 13-player Quad Series touring team and confirming that she had signed on with the Vixen’s until at least the end of the 2019 Suncorp Super Netball season.